A premier MTG investment commodity up for bid this month. 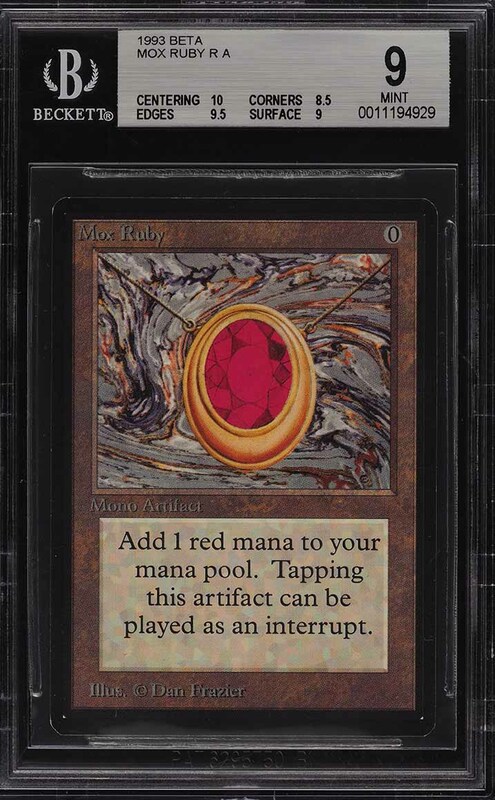 One of the original moxes; The Mox Ruby is one of the most powerful and important magic cards ever printed. Known for its extreme mana acceleration, this card has been deemed as one of the coveted power nine and has been banned/restricted from all formats. The offered '9' is a particularly special specimen as it boasts pristine centering; a rare and desired quality. Shows pack fresh eye appeal with a mesmerizing illustration by Dan Frazier; original artist of all five moxes. The card possesses rich, glossy surfaces with fabulous registration. Shows clean borders with rich color and tremendous clarity. With a print run of just 3,300 of each rare card being produced, and the vast majority being played/damaged; this number doesn't even come close to satisfying the demand. 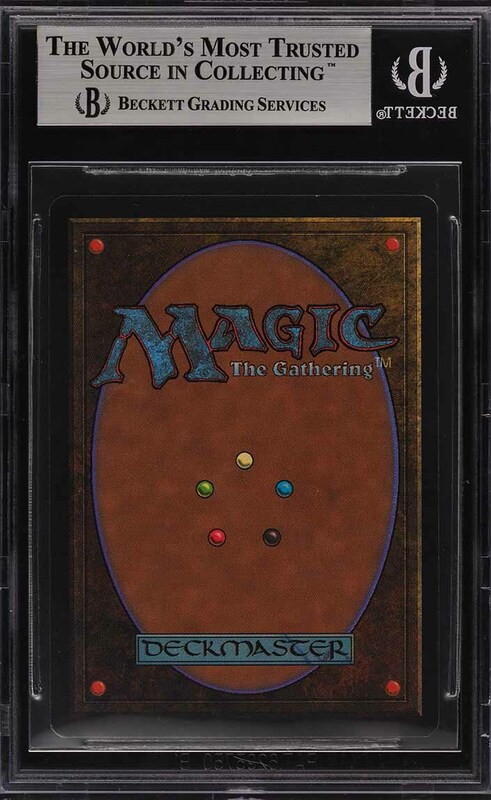 Important high-grade magic cards, such as this masterpiece, continue to soar in value as investors realize just how special these preeminent P9 cards are. 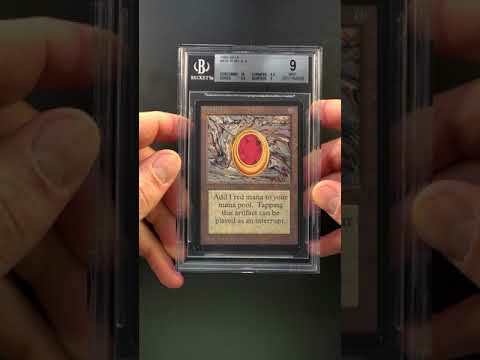 A premier tangible MTG investment which commands serious attention. Part of a magnificent run of high-grade Magic The Gathering examples on the auction block this month. One of nearly 15,000 cards, lots, and sets up for bid in our 4th Auction of 2019. Click on the link above to view the other PWCC auction lots. The PWCC Vault is now live! Open a PWCC Vault account and receive a custom Vault shipping address. Purchases shipped to the Vault receive free shipping and reflect Oregon's 0% sales tax rate.